When you’re looking for Honda service, remember that Honda dealerships in NC like Sanford Honda have the parts and service specials that can save you money on your next visit. Just have a look at the common services we’re currently offering discounts on and print the ones that will help you out the next time you stop into the Sanford Honda Service Center. One of the best ways to make sure that your vehicle keeps running its best for many years to come is to keep up with a regular oil change and tire rotation service schedule. 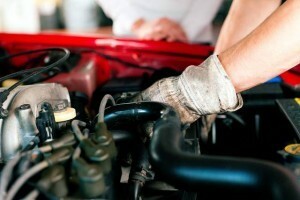 With fresh, proper oil, your engine can run at its peak efficiency and performance. Old oil can break down due to heat and the test of time, allowing metal parts to generate more friction and heat as you drive. A regular oil change keeps the oil fresh, and our Honda service techs will make sure that your vehicle gets exactly the right type of oil that it should. Tire rotations ensure that your tires are wearing efficiently, and this can mean better traction in the long run as your front or rear tires will not wear pre-maturely. When tires wear evenly and are inflated to the correct pressure, they can contribute to optimum fuel efficiency. Have a look out our current service specials anytime on our website. We keep them up-to-date with printable coupons you can bring with you the next time you visit our Service Center. Even if you’re not sure where your vehicle is at with recommended service like fluid checks or belt and hose replacements, just give us a call and we’ll help you figure out what your vehicle might need at its next service. Then you can find a coupon that will help you.